Miffy, melanie, grunty and snuffy are going on a treasure hunt in the zoo. They have to solve the five clues that father and mother bunny have given them one by one. 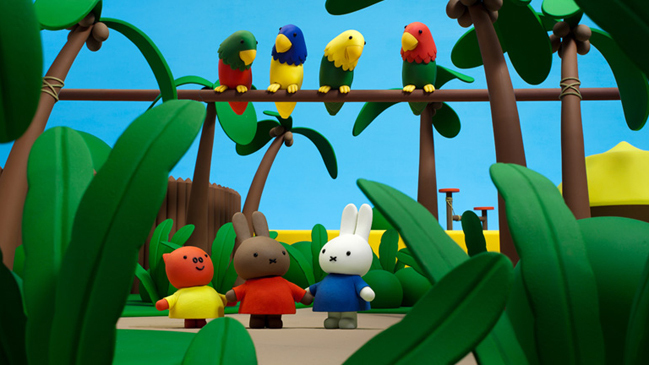 Along the way miffy and her friends meet all kinds of animals and together they experience a fun adventure.